Available from Wednesday 11 April, 2007 at 10:00am. 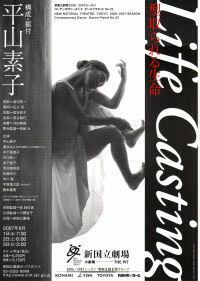 A project highlighting a choreographer and dancer currently at the peak of her powers-Hirayama Motoko. This will be a performance featuring noteworthy dancers performing pieces that test the limits of the human body. Japanese dancers active overseas will be part of the mix.